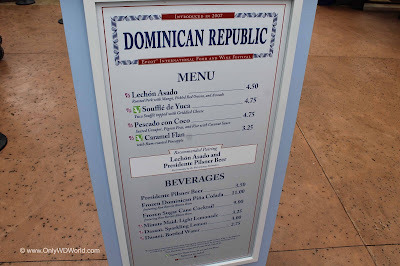 The Dominican Republic Marketplace is one of the food and drink locations to be found during the 20th annual Epcot International Food & Wine Festival. 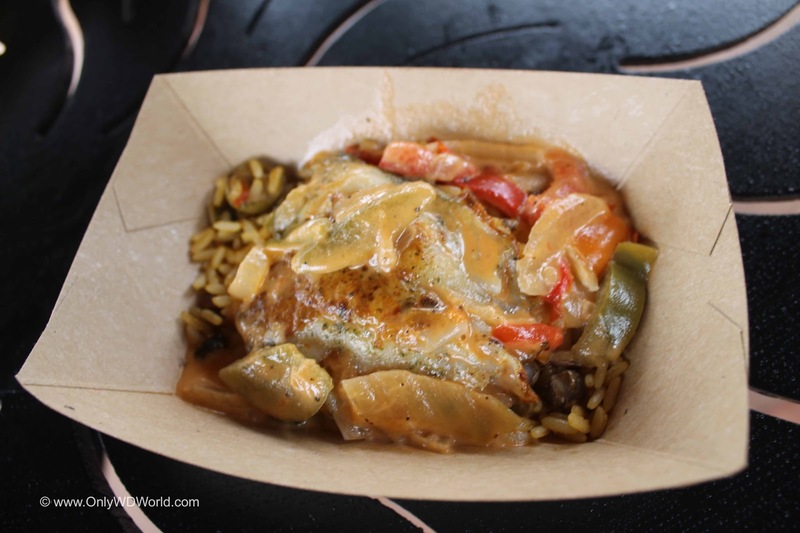 Located on the walkway between Epcot's Future World and World Showcase, this is one F&W Marketplace that you do not want to miss. 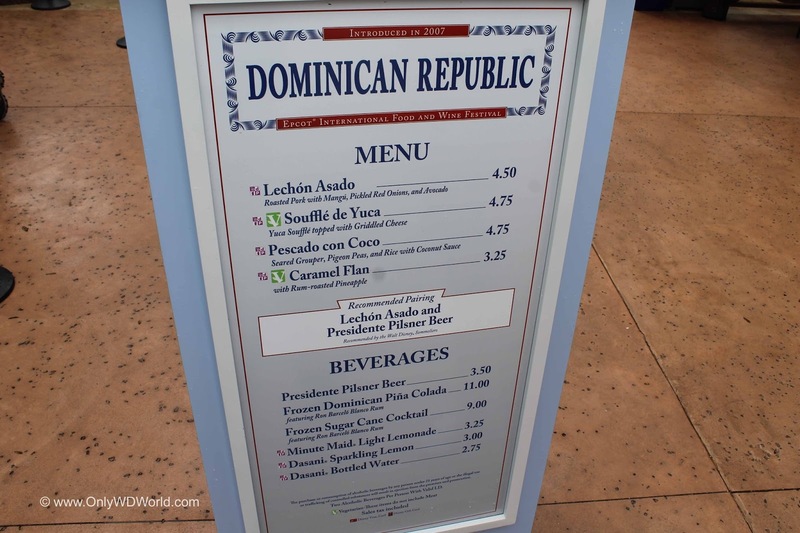 As one of over 30 different International Food & Drink kiosks that have been erected around Epcot for the Food and Wine Festival, the Dominican Republic Marketplace is one of the most visually appealing Marketplaces and has a very impressive lineup of food and drinks to enjoy. It stands out with an attractive blue "house" and its own little courtyard and surrounding area that differentiates it from the other places that you will find around the World Showcase. 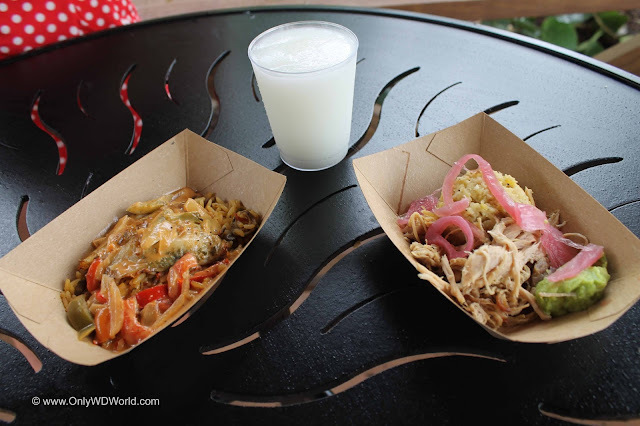 The Dominican Republic has great menu of food and drink to enjoy. It is well balanced with great choices on both. 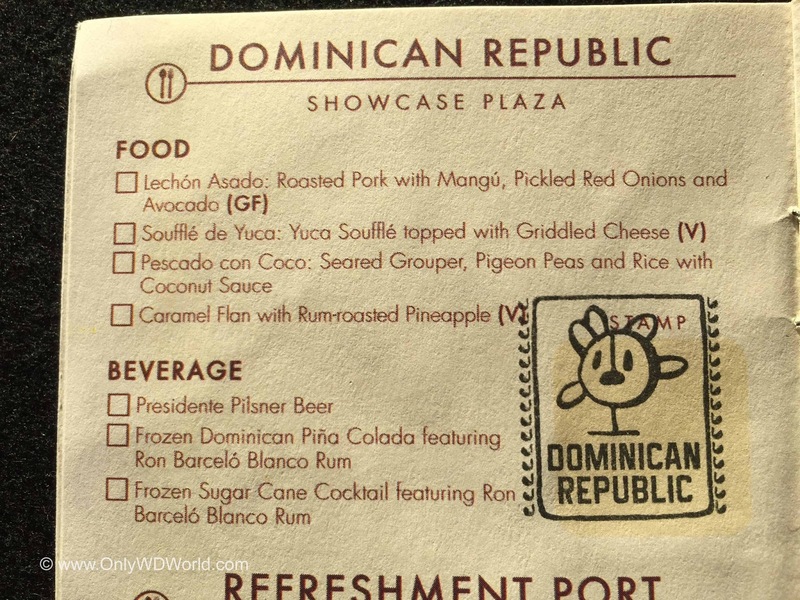 The Dominican Republic Marketplace caught our attention because of the great selections of both food and drink to choose from. We tried two different food choices and one drink here. The Lechon Asado was certainly a standout and a qualifies as a Festival Favorite! The pickled onions were truly amazing and we wish we had more. We also sampled the Peccado con Coco. The grouper was very good and another choice that we definitely enjoyed. 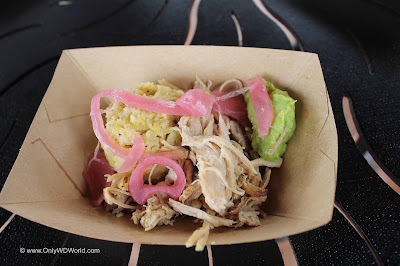 Al of the flavors worked well together and we can certainly recommend this dish as well. 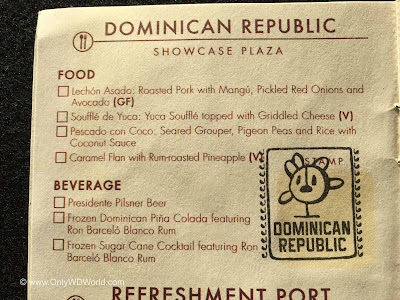 The drink we tried was the Frozen Dominican Pina Colada. It was good and a great use of one of our F&W Festival Tasting Sampler Coupons, but I would not recommend spending $11.00 cash for the small tasting size of this drink. 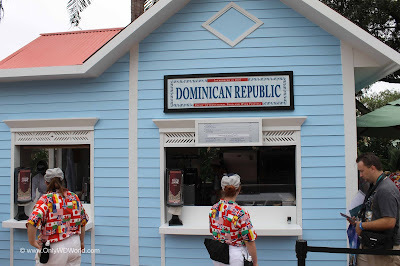 0 comments to "Dominican Republic at the Epcot International Food & Wine Festival"